Welcome to the new district event – archery and shooting competition. This is an event for Scouts of all abilities run over half a day (morning or afternoon). If you are an experienced archer or shooter, perhaps you will score high. If you have not picked up a bow or rifle before, then you will get an opportunity to have a go. 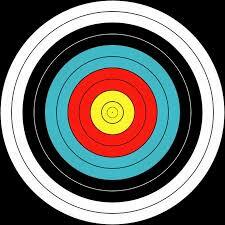 District are running three bases – short range archery, long range archery and rifle shooting. The Scouts will rotate between the three bases and will be scored on all three. Payment can be made by BACs to our District account, cash or cheque. BACs is our preferred method. Please get in touch for details. There are two sessions. Both morning and afternoon sessions are for 36 Scouts each, making a total of 72 Scouts across the whole competition. The morning session starts at 08:45 and finishes at 12:30. The bases are run in turn, so you need to be here at the start time. To be clear – each Scout should attend for either a morning or afternoon. Please eat before you arrive. There is no food available on site. Please complete Activity_Information_Form and hand in by 13 April 2019. The Scouts are unable to rifle shoot without the form. Due to space limitations we are unable to have spectators at this event. We are limited to five places per troop, so please book ASAP. Please book by paying the £10 and handing in a completed Activity Information form to your section leader. Please also inform us whether you would like a novice or experienced place.